On August 7, 2018, STAAR Surgical Company (the “Company”) entered into an Underwriting Agreement with Canaccord Genuity LLC, for itself and as representative of the other several underwriters (the “Underwriters”), providing for, subject to customary closing conditions, the purchase from the Company of 1,739,000 shares of its common stock (the “Common Stock”). In addition, the Company granted the Underwriters an option (the “Option”), exercisable for 30 days after the date of the Underwriting Agreement, to purchase up to an aggregate of 260,850 additional shares of Common Stock, which was exercised in full on August 9, 2018. The closing of the offering is expected to occur on August 10, 2018, subject to customary closing conditions. The net proceeds to the Company in this offering before deducting expenses are estimated to be approximately $72,612,554. The Underwriting Agreement contains customary representations, warranties, covenants and agreements by the Company, indemnification and other obligations of the parties, and termination provisions. The Underwriting Agreement is filed as Exhibit1.1 to this report, and the foregoing description is qualified in its entirety by reference to such exhibit. 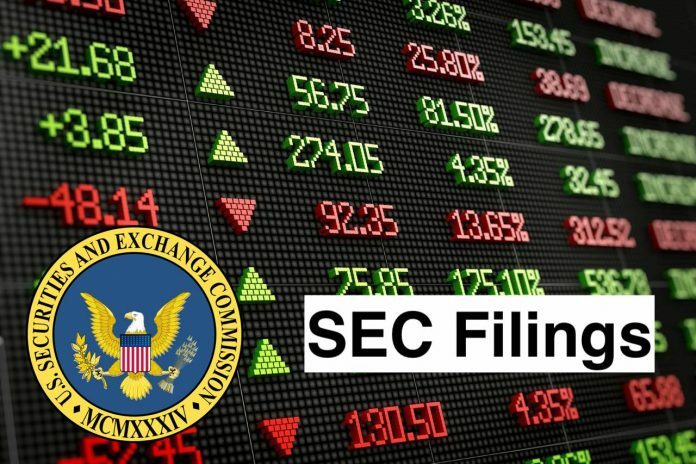 All shares are being sold to a shelf Registration Statement on Form S-3, File Number 333-217888 (the “Registration Statement”) that was declared effective by the U.S. Securities and Exchange Commission (the “SEC”) on June 9, 2017, as well as a preliminary prospectus supplement and a final prospectus supplement each dated August 7, 2018 (the “Prospectus Supplement”) to the base prospectus contained in the Registration Statement. The Prospectus Supplement, which incorporates the base prospectus, is available on the SEC’s website at http://www.sec.gov and is hereby incorporated into this Item 1.01 by this reference. Unless the context otherwise requires, the terms “we,” “our” or “us” and “STAAR” refer to STAAR Surgical Company and its subsidiaries. References to our “common stock” refer to the common stock of STAAR Surgical Company. Investment in our securities involves a high degree of risk. Investors should carefully consider the risks described below, as well as the risks described in the documents incorporated by reference in this prospectus supplement and the accompanying prospectus, and all other information included or incorporated by reference in this prospectus, before making a decision to invest in our common stock. These risks are not the only ones we face. These risks and uncertainties, as well as other risks that we cannot foresee at this time, have the potential to affect our business, financial condition, results of operations, cash flows, strategies and prospects in a material and adverse manner. The trading price of our common stock could decline due to any of these risks, and investors may lose all or part of their investment. This prospectus supplement, the accompanying prospectus and the documents incorporated by reference also contain forward-looking statements that involve risks and uncertainties. Actual results could differ materially from those anticipated or implied in these forward-looking statements because of factors beyond our control, including the risks faced by us described below and in the documents incorporated herein by reference. We have a history of losses that may continue in the future. We have reported losses in four of the past five years. Our near-term profitability is challenged by the competitive nature of our industry, our continued investment in operations, and the other risks to our business detailed herein. There can be no guarantee that we will achieve growth, or profitability, in the near term, or at all. If unexpected events increase our expenses or harm the performance of our business we may need to seek additional financing. We may also identify opportunities to expand our business that require additional financing. Should we need additional working capital, our ability to raise capital through sales of equity securities depends on general market conditions and the demand for our common stock. We may be unable to raise adequate, if any, capital through sales of equity securities, and if our stock has a low market price at the time of such sales our existing stockholders could experience economic dilution. We may also have difficulty obtaining debt financing on acceptable terms, if at all, or renewing existing debt facilities. If additional funds are raised through the incurrence of debt, we will incur debt servicing costs and may become subject to restrictive financial and other covenants. An inability to secure additional financing if it is needed in the future could require us to forego opportunities for expansion, or could adversely affect our operations and financial position. Also, if we cannot continue to generate positive cash flow from operations, we may have to reduce our costs which could materially and adversely affect our ability to execute our operations and expand our business. FDA compliance issues may adversely impact our operations. Quality system and other deficiencies observed at certain of our facilities during inspections have led to FDA Warning Letters, FDA Form 483s and delays in product approvals until the FDA determines we resolved its concerns. For example, on May 21, 2014, we received a Warning Letter from the FDA citing alleged violations of the current Good Manufacturing Practices (“cGMP”) requirements of the Quality System Regulation (“QSR”) identified by the FDA during an inspection of the Company’s manufacturing facility in Monrovia, California in early 2014. We manufacture most of our products at the Monrovia facility. On June 20, 2018, we announced receipt of a letter from the U.S. Food and Drug Administration lifting the Warning Letter, which reopens the regulatory pathway for us to obtain U.S. approval for products, however, obtaining product approval remains a costly and lengthy process and it is too soon to tell whether the lifting of the Warning Letter will result in regulatory approvals, expanded U.S. sales or the timing of such developments. For example, there is no assurance that the lifting of the Warning Letter will result in approval of our supplemental premarket approval (“PMA”) from the FDA for the Toric ICL. Despite the lifting of the Warning Letter, the FDA retains the authority to impose additional regulatory action on STAAR. If we fail to demonstrate continued compliance we could be subject to fines, injunctions, Warning Letters, consent decrees, prosecution, civil money penalties, criminal penalties, costs of repairs and replacements, refunds, recalls or seizures of products, total or partial suspension of production and marketing, the FDA’s refusal to grant future premarket approvals, and/or withdrawals or suspensions of approvals or clearance for current products. Any such further action might severely impair our ability to do business and financial condition. Our management expects to devote significant resources and attention to our quality systems and compliance with QSR and other regulatory requirements for the foreseeable future as part of the ordinary course of business. We cannot ensure that our efforts will be successful and failure to achieve or maintain compliance may materially and adversely impact our business and operations, as noted above. Except for the U.S., Japan, Spain, Germany, Canada, the U.K. and Singapore, we sell our products through independent distributors who generally control the importation and marketing of our product within their territories. We generally grant exclusive rights to these distributors and rely on them to understand local market conditions, to diligently sell our products and to comply with local laws and regulations. Our agreements with distributors and local laws can make it difficult for us to quickly change from a distributor who we feel is underperforming. If we do terminate an independent distributor, we may lose customers who have been dealing with that distributor, and may be required to compensate the distributor for termination. Because these distributors are independent, it may be difficult for us to detect failures in our distributors’ performance or compliance. Actions by independent distributors could result in declining sales in that territory, harm to the reputation of our company or our products, or legal liability. For example, if Shanghai Langsheng, which accounted for more than 26% of our fiscal 2017 consolidated net sales, and more than 40% of net sales in our fiscal quarter ended June 29, 2018, ceased to serve as our distributor, or significantly underperformed our expectations, we may experience a substantial reduction in sales. Unfavorable economic conditions or negative publicity concerning complications of laser eye surgery could hurt sales of our refractive products. During our fiscal quarter ended June 29, 2018, approximately 80% of our revenue was derived from ICL lenses used in refractive procedures. Refractive surgery is an elective procedure generally not covered by health insurance. Patients must pay for the procedure, frequently through installment financing arrangements with third parties. They can defer the choice to have refractive surgery if they lack the disposable income to pay for it or do not feel their income is secure. Economic stagnation, lack of consumer confidence or new recessions in any of our larger markets could slow ICL sales growth or, if severe, cause declines in sales. Because the ICL is our best selling and highest gross margin product, restricted growth or a decline in its sales could materially harm our business. We believe that negative publicity in the past regarding the potential complications of refractive surgery and potential patient dissatisfaction, in particular because of LASIK and other corneal laser-based procedures, decreased patient interest in LASIK as well as all other refractive procedures. Depending on the nature and severity of any future negative publicity about refractive surgery, the growth of ICL sales could be limited or sales could decline due to decreased patient interest in all refractive surgery. In particular, we manufacture the proprietary collagen-based raw material used in our ICLs and IOLs internally. If the supply of these collagen-based raw materials is disrupted it could result in our inability to manufacture those products and would have a material adverse effect on STAAR. The loss of our external supply source for silicone material, polymer for injectors or acrylic lenses could also cause us material harm. Further, any failure by us to forecast demand for or to maintain an adequate supply of, raw material and finished product could result in an interruption in the supply of certain products and a decline in the sales of that product. If our suppliers or we are unable or our suppliers are unwilling to meet our manufacturing requirements, we may not be able to produce enough materials or products in a timely manner, which could cause a decline in our sales. Because our business is global our sales and profits may fluctuate or decline in response to changes in foreign currency exchange rates and other international risks. Activities outside the U.S. accounted for approximately 91% of our total sales during 2017. Foreign currency fluctuations could result in volatility of our revenue. The results of operations and the financial position of our Japanese subsidiary are reported in Japanese yen and then translated into U.S. dollars at the applicable exchange rates for inclusion in our consolidated financial statements, exposing us to translation risk. In addition, we are exposed to transaction risk because we incur some of our sales and expenses currencies other than the U.S. dollar. Our most significant currency exposures are to the Japanese yen, the euro, and the Swiss franc, and the exchange rates between these currencies and the U.S. dollar may fluctuate substantially. We do not actively hedge our exposure to currency rate fluctuations. The strengthening of the U.S. dollar would likely negatively impact our results. We price some of our products in U.S. dollars, and thus changes in exchange rates can make our products more expensive in some offshore markets and reduce our sales. Inflation in emerging markets could also make our products more expensive and increase the credit risks to which we are exposed. Future foreign currency fluctuations could favorably or unfavorably impact and increase the volatility of our revenue, profitability, and stock price. Economic, social, and political conditions, laws, practices, and local customs vary widely among the countries in which we sell our products. Our operations outside of the U.S. face a number of risks and potential costs, including, enjoying less stringent protection of intellectual property, and facing economic, political, and social uncertainty in some countries, especially in emerging markets. For example, sales in certain Asian and developing markets may result in lower margins and higher exposure to intellectual property infringement or counterfeits. Further, trade disputes between the United States and its significant trading partners, including China, may adversely affect our sales, including as a result of the imposition of tariffs or other barriers or restrictions on trade, or increase our costs. In addition, the institution of trade tariffs both globally and between the U.S. and China specifically could negatively impact the overall economic condition in our markets, including China, which could have a negative effect on our sales. Also, we are exposed to credit and collectability risk on our trade receivables with customers in certain international markets. There can be no assurance we can effectively limit our credit risk and avoid losses and our ability to transfer foreign earnings to the U.S. may be subject to taxes or restricted or result in incurring substantial costs. Our continued success as a global company depends, in part, on our ability to develop and implement policies and strategies that are effective in anticipating and managing these and other risks in the countries where we do business. These and other risks may have a material adverse effect on our operations in any particular country and on our business, financial condition, and results of operations as a whole. We have accumulated approximately $132.5 million of U.S. federal tax net operating loss carryforwards as of December 29, 2017, which can be used to offset taxable income in future quarters if our U.S. operations become profitable. If unused, these tax loss carryforwards will begin to expire between 2020 and 2037. At this time, we do not believe our U.S. operations will generate sufficient profitability during the near term to enable us to use the totality of our net operating loss carryforwards before they expire. Also, currently if we generate profits on a consolidated basis, those profits are expected to be primarily generated outside the U.S. and subject to income taxes, which cannot be offset with U.S. loss carryforwards. If profits occur in the U.S. this will enable us to begin using our tax loss carryforwards in the U.S., but changes in tax laws could prevent or hinder us from realizing the full benefits of the U.S. loss carryforwards. Our ability to utilize any future net operating losses may also be limited by the recently enacted legislation commonly known as the Tax Cuts and Jobs Act, or the Tax Act. Under the Tax Act, the amount of post-2017 net operating losses that we are permitted to deduct in any taxable year is limited to 80% of our taxable income in such year. In addition, the Tax Act generally eliminates the ability to carry back any net operating loss to prior taxable years, while allowing post-2017 unused net operating losses to be carried forward indefinitely. Due to these changes under the Tax Act, we may not be able to realize a tax benefit from the use of our net operating losses, whether or not we generate profits in future years. Moreover, if we were to experience a significant change in ownership, Internal Revenue Code Section 382 may restrict the future utilization of our tax loss carryforwards even if our U.S. operations generate significant profits. We manufacture most of our products at a single facility in Monrovia, California, which is the sole manufacturing facility for our ICLs and IOLs. All or a portion of the Monrovia facility could suffer catastrophic loss due to fire, flood, earthquake, terrorism or other natural or man-made disasters, including manufacturing challenges such as equipment failure. Developing a second manufacturing site would require significant expense for personnel and equipment and a long period to obtain regulatory approvals. Our California and Japanese facilities are in areas where earthquakes could cause catastrophic loss. In our major markets, regulatory approval to manufacture materials and sell our products is generally limited to the current manufacturing site, and changing the site requires applications to and approval from regulatory bodies prior to commercialization. To satisfy our own quality standards as well as regulations, we must follow strict protocols to confirm that products and materials made at a new site are equivalent to those made at the currently approved site. Even minor changes in equipment, supplies or processes require validation. Unanticipated delays or difficulties in manufacturing a transferred process or materials could interrupt our supply of products. Any sustained interruption in supply could cause us to lose market share and harm our business, financial condition, and results of operations. Our competitors, including Novartis (formerly Alcon), Johnson & Johnson (formerly Abbott Medical Optics, or AMO) and Valeant (formerly Bausch & Lomb), have much greater financial, technical, marketing and distribution resources and brand name recognition than we do and some of them have large international markets for a full suite of ophthalmic products. Their greater resources for research, development and marketing, and their greater capacity to offer comprehensive products and equipment to providers, makes for intense competition. Over the past several years, we have lost market share in IOL sales to some of our competitors. In addition, competitors from Asia are beginning to appear in some markets with their low-cost version of an implantable contact lens, which competes with our ICL. We are subject to anti-corruption laws in the jurisdictions in which we operate, including the U.S. Foreign Corrupt Practices Act (“FCPA”). Any failure to comply with these laws, even if inadvertent, could result in significant penalties or otherwise harm our reputation, business, financial condition, and results of operations. Our reliance on foreign subsidiaries and independent distributors demands vigilance in maintaining our policy against participation in corrupt activity. In many of our markets outside the U.S., doctors and hospital administrators may be deemed government officials. Other U.S. companies in the medical device and pharmaceutical field have faced criminal penalties under the FCPA for allowing their agents to deviate from appropriate practices in doing business with such individuals. We sponsor two defined benefit pension plans through our wholly owned Swiss and Japanese subsidiaries, which we refer to as the “Swiss Plan” and the “Japan Plan,” respectively. Both plans are underfunded and may require significant cash payments. We determine our pension benefit obligations and funding status using many assumptions. If the investment performance does not meet our expectations, or if other actuarial assumptions are modified, or not realized, we may be required to contribute more than we currently expect and increase our future pension benefit obligations to be funded from our operations. Our pension plans taken together are underfunded by approximately $4.7 million ($1.4 million for the Japan Plan and $3.3 million for the Swiss Plan) as of December 29, 2017. If our cash flow from operations is insufficient to fund our worldwide pension obligations, as well as other cash requirements, we may be materially and adversely harmed and have to seek additional capital. Data corruption, cyber-based attacks or network security breaches and noncompliance with data protection regulations could negatively impact our operations. Unauthorized parties may also gain access to our systems or facilities. Security breaches could disrupt our operations, and result in lost or misappropriated information. Despite the security measures we have in place, our facilities and systems, and those of our suppliers, distributors and customers with whom we do business, may be vulnerable to security breaches, cyber-attacks, or other similar events. Any security breach of Company information could have a material adverse effect on our business, results of operations and financial condition. Also, certain of our information technology systems are not redundant, and our disaster recovery planning is not sufficient for every eventuality. Despite any precautions we may take, such events could harm our reputation and financial results. We are subject to various data protection regulations in different jurisdictions, including the General Data Protection Regulation (Regulation (EU) 2016/679) (GDPR). We have made and continue to engage in compliance efforts to satisfy these regulations, however, we may be unsuccessful in complying with applicable requirements, and may be at risk of enforcement actions and/or subject to fines, including those imposed by a data protection authority. As a result, we may incur substantial expense in complying with data protection regulations and may be distracted from other aspects of our business. If we continue to experience rapid growth, this places a significant strain on financial, operational, and managerial resources. We must continue to implement and enhance our managerial, operational and financial systems, expand our operations, and continue to recruit and train qualified personnel. There can be no assurance that our strategic and operational planning will allow us to adequately manage anticipated growth. Any inability to successfully manage growth could materially and adversely affect our business, financial condition, and results of operation. Unless we keep pace with advances in our industry and persuade physicians to adopt our new products our sales will not grow and may decline. Our future growth depends, in part, on our ability to timely develop products to treat diseases and disorders of the eye that are more effective, safer, or incorporate emerging technologies better than our competitors’ products, and are accepted by physicians and patients. Sales of our existing products may decline rapidly if one of our competitors introduces a superior product, or if we announce a new product of our own. If we focus on research and development or technologies that do not lead to better products, more effective or advanced products could surpass our current and planned products. In addition, such product development efforts could require a significant investment of resources. If we are able to develop new products, we must manufacture these products economically and market them successfully by demonstrating to enough eye-care professionals the overall benefits of using them. If we do not timely develop new products that meet market demand or if there is insufficient demand for our new products, our sales and results of operations could be harmed. We may be required to conduct extensive clinical trials to demonstrate safety and efficacy of new or enhanced products, which clinical trials are expensive, complex, can take years to complete, and have highly uncertain outcomes. If a regulatory authority delays or does not grant approval of a potentially significant product, the potential sales of the product and its value to us can be substantially reduced. Even if the FDA or another regulatory agency clears or approves a product, the clearance or approval may limit the indicated patient populations or uses of the product, or may otherwise limit our ability to promote, sell and distribute the product, or may require post-marketing studies or surveillance. If we cannot obtain timely regulatory clearance or approval of our new products, or if the clearance or approval is too narrow, we will not be able to successfully market these products, which would eliminate or reduce our potential sales and earnings. Under the FDA regulations, we are required to report to the FDA any incident in which our product may have caused or contributed to a death or serious injury or in which our product malfunctioned and, if the malfunction were to recur, would likely cause or contribute to death or serious injury. In addition, all manufacturers placing medical devices in international markets, such as European Union and Asian markets, are legally bound to report any serious or potentially serious incidents involving devices they produce or sell to the relevant authority in whose jurisdiction the incident occurred. In the future, we may experience events that would require reporting to the FDA to the Medical Device Reporting (“MDR”) regulations or to other regulatory bodies to international regulations. Any adverse event involving our products could result in future voluntary corrective actions, such as product actions or customer notifications, or agency actions, such as inspection, mandatory recall, or other enforcement action. Any corrective action, whether voluntary or involuntary, as well as defending ourselves in a lawsuit, will require the dedication of our time and capital, distract management from operating our business, and may harm our reputation and financial results. If we modify our products we may have to obtain new marketing clearances or approvals, or may have to ease marketing or recall the modified products until clearances or approvals are obtained. Any modification to a 510(k)-cleared device that could significantly affect its safety or effectiveness, including any significant change in design or manufacture, or that would constitute a major change in its intended use, requires a new 510(k) clearance or, possibly, approval of a PMA. The FDA requires every manufacturer to make this determination in the first instance, but the FDA may review any manufacturer’s decision. The FDA may not agree with our decisions regarding whether new clearances or approvals are necessary. We have modified some of our 510(k) cleared and PMA approved products, and have determined based on our review of the applicable FDA guidance that in certain instances new 510(k) clearances or premarket approvals are not required. If the FDA disagrees with our determination and requires us to submit new 510(k) notifications or PMAs for modifications to our previously cleared products for which we have concluded that new clearances or approvals are unnecessary, we may be required to cease marketing and/or to recall the modified product until we obtain clearance or approval, and we may be subject to significant regulatory fines or penalties. The market price for our common stock has fluctuated widely. The closing price of our common stock has varied between a high of $39.90 per share on August 6, 2018 and a low of $10.40 per share on August 7, 2017 during the twelve-month period ended August 6, 2018. Our stock price could continue to experience significant fluctuations in response to factors such as market perceptions, quarterly variations in operating results, operating results that vary from the expectations of securities analysts and investors, changes in financial estimates, changes in the business and market valuations of competitors, announcements by us or our competitors of a material nature, additions or departures of key personnel, future sales of our common stock and stock volume fluctuations. Also, general political and economic conditions such as a recession or interest rate fluctuations may adversely affect the market price of our common stock. • stockholders must give advance notice to nominate directors or propose other business. Our largest three investors beneficially own close to 50% of our outstanding common stock. Our investors recommended three of our current five directors. The sale of a substantial number of shares of our common stock by any or all of our largest investors or our other stockholders within a short period of time could cause our common stock price to decline, make it more difficult for us to raise funds through future offerings of our common stock or acquire other businesses using our common stock as consideration. We could issue additional shares of common or preferred stock to raise additional capital or for other corporate purposes without stockholder approval. In addition, we could designate and sell a class of preferred stock with preferential rights over our common stock with respect to dividends or other distributions. Also, we have filed a universal shelf registration statement with the Securities and Exchange Commission. Following the offering reported in this Current Report on Form 8-K, the shelf registration statement is available to cover the future public offering and sale of up to $122,005,850, in equity or debt securities or any combination of such securities. Sales of our common or preferred stock under the shelf registration or in other transactions could dilute the interest of existing stockholders and reduce the market price of our common stock. Even in the absence of such sales, the perception among investors that additional sales of equity securities may take place could reduce the market price of our common stock. STAAR Surgical Company designs, develops, manufactures and sells implantable lenses for the eye and delivery systems used to deliver the lenses into the eye. The Company operates in the ophthalmic surgical market segment. Its principal products are intraocular lenses (IOLs) used in cataract surgery and implantable collamer lenses (ICLs) used in refractive surgery. It makes lenses used across the world in corrective or refractive surgery, and makes lenses for use in surgery that treats cataracts. Its refractive surgery corrects the types of visual disorders that glasses or contact lenses have treated (myopia, hyperopia, astigmatism and presbyopia). Its refractive surgery corrects the types of visual disorders that glasses or contact lenses have treated (myopia, hyperopia, astigmatism and presbyopia). It sells its products in approximately 60 countries, with direct distribution in the United States, Canada, Japan and Spain, and independent distribution in the remainder of the world.